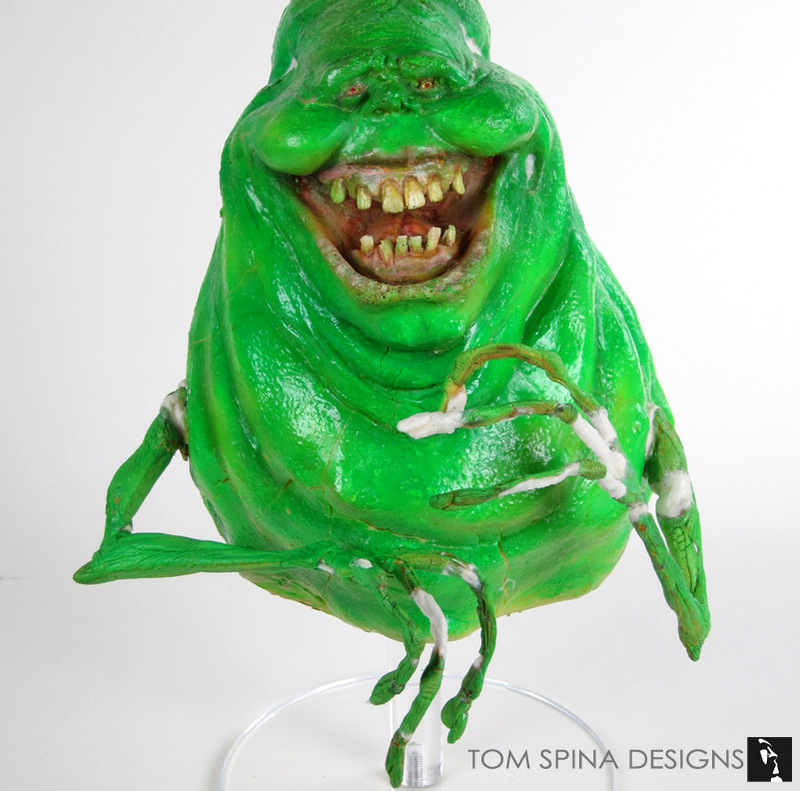 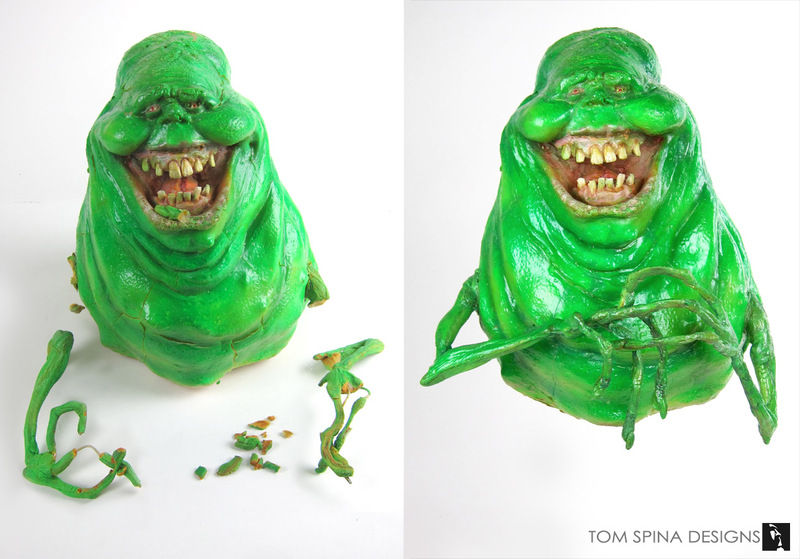 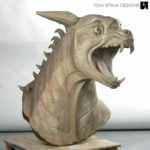 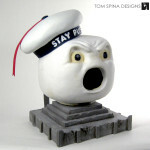 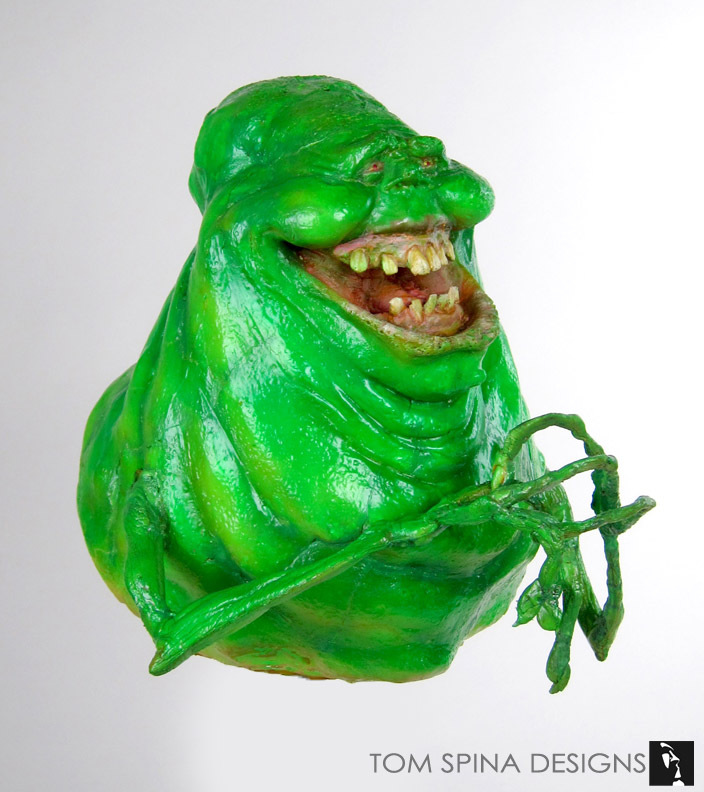 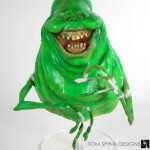 Restoring an original Ghostbusters Slimer maquette from the production of the classic 1984 paranormal comedy. 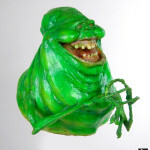 When he arrived at our studio, the Slimer model’s arms had detached and his foam latex hands were badly damaged. 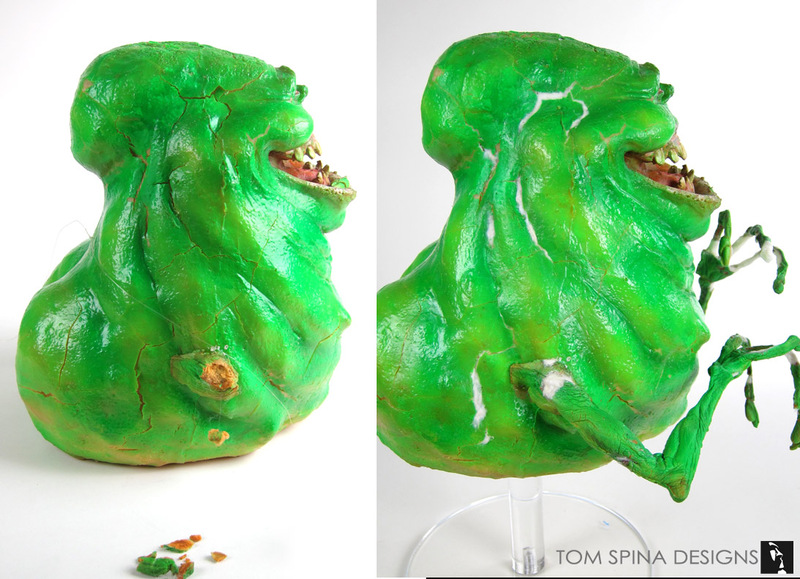 Age and handling over time had damaged the fragile arms and latex skin of this instantly recognizable prop. 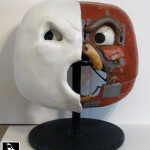 He was in a number of pieces and his skin was cracked and in some places, paint was peeling away. 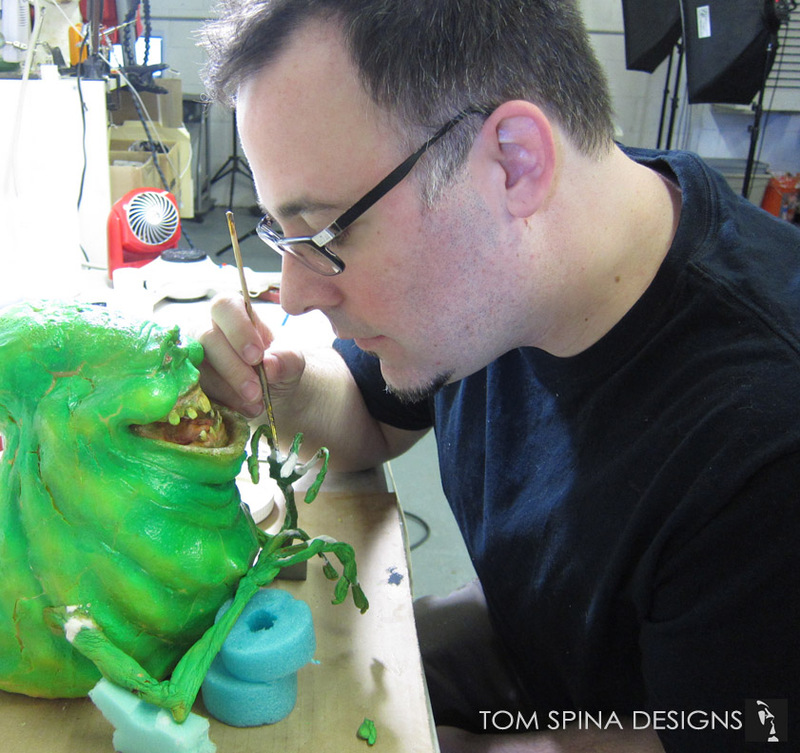 With greatest respect and care, our restoration artists carefully reassembled Slimer’s foam latex arms, adding reinforcement to help defend against gravity over time. 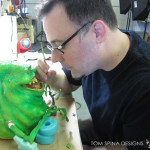 As is always our goal, we maintained as much original material as we could, and in the end, the hands and arms remain very much original, with some small patches to blend over gaps where pieces of foam latex had deteriorated into dust and been lost to time. 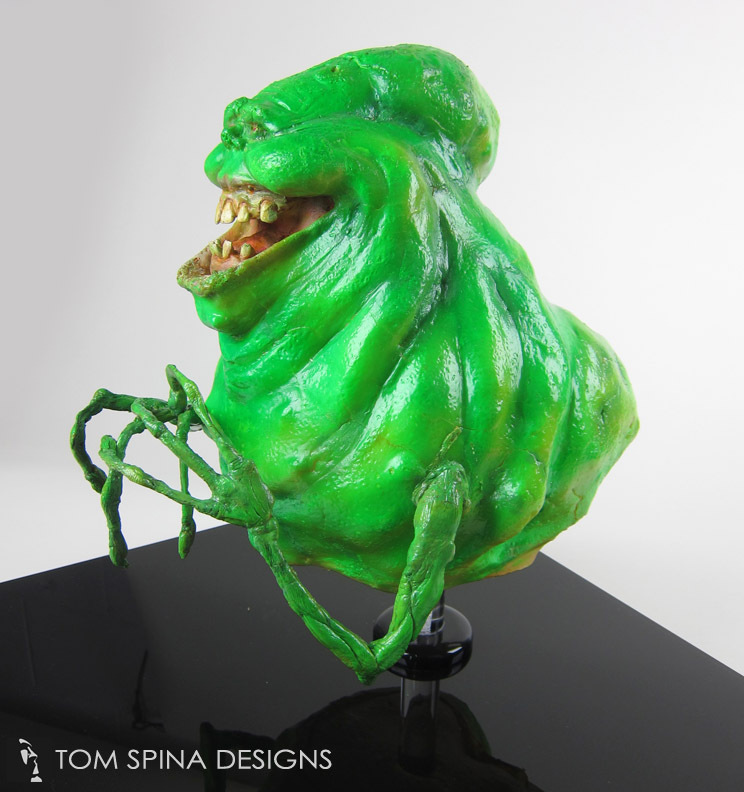 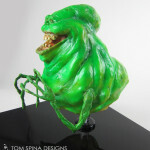 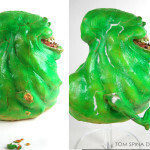 The Slimer production maquette’s skin was reaffixed to his body piece by piece, with only the largest cracks being blended, so that the movie prop would retain its original look, feel and age. 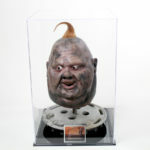 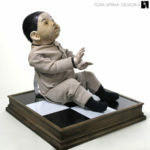 A classy, museum style thick acrylic case completes the display and protects this important and iconic prop character. 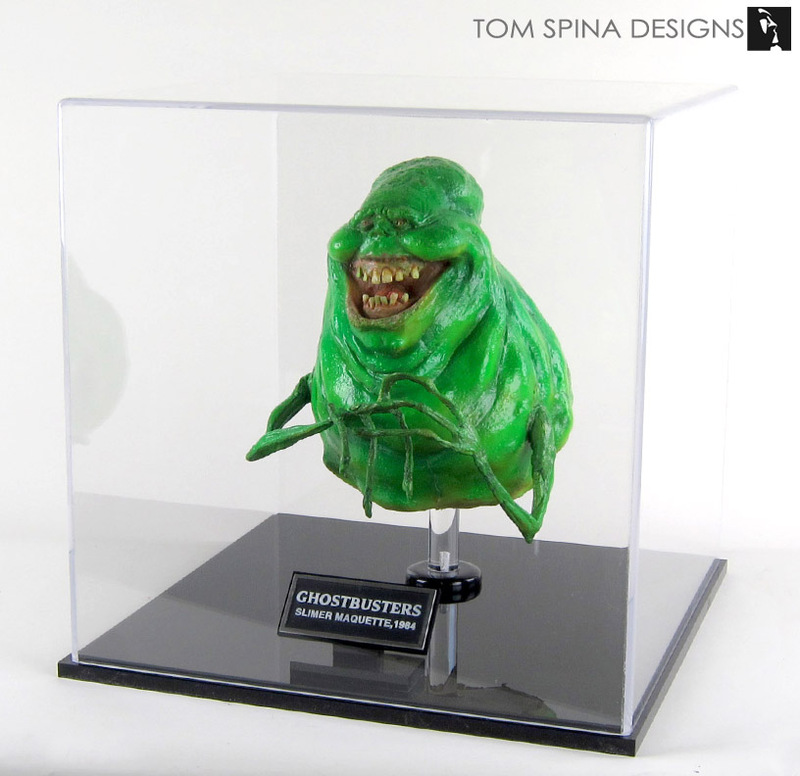 In addition to our restoration services, we can create custom display cases for your cherished collectibles, toys or props, so don’t hesitate to look us up when you need something.